Live coverage of the 2018 Bambino Kart Club and Interkart Championships, winner of 2017 Downforce UK Karting Series of the Year Award. Drivers as young as six get the chance to put their foot on the racing ladder, with four different categories competing along the length and breadth of the United Kingdom over 10 rounds, with prizes ... See More up to a total value of £6500 helping secure their racing futures towards the potential of becoming a star in the making. As the biggest Bambino Kart Club in the UK, the BKC has pooled engine championships, along with some great venues being visited, including GYG, Rowrah, Whilton Mill & Larkhall. Coverage for 2018 also includes the first five rounds of the National Kart Cup. Live race coverage from the British Automobile Racing Club, including the British Truck Racing Championship, Legends Racing UK, British Pickup Truck Racing, Michelin Clio Cup Series, Quaife Intermarques, Classic Touring Car Racing Club, Junior Saloon Car Championship and more! Live coverage of the BirelART UK Series, one of Britain's premier karting championships, which has given many drivers their starting point to professional motorsport, with links to professional level circuit racing. Jake Hughes and Toby Sowery both graduated from BirelART UK. 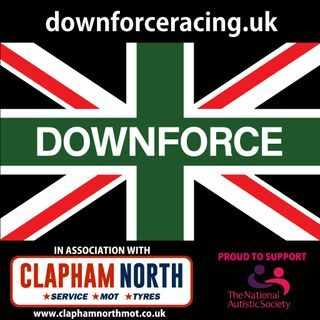 Here on Downforce UK, you'll hear full coverage ... See More of the Cadets, Juniors and Senior classes as the talented youngsters and first-time adult racers compete in equal machinery for the coveted prize of BirelART UK Champion in each class. Live coverage of the BNL Karting Series, attracting competitors from across the globe, competing in ROTAX and OK classes throughout the season. Commentary from Series Commentator Alex Goldschmidt, who will be trackside at both Karting Genk and Karting des Fagnes in Mariembourg. Jake Sanson and Scott Woodwiss keep you up to date with all the latest news, views and reviews from the BRSCC, with interviews, fixtures and features from one of Britain's top motorsport clubs. Plus live coverage from the club's top championships, including the Ford Fiestas, Mazda MX5s, Formula Jedis, Porsche Championship and ... See More the Caterham Championships. Jake Sanson and Sam Hall present a show dedicated to the wild and wacky world of British motorsport from karting to club racing, powerboats to oval racing, lawnmowers to 2CVs. There's always some form of motorsport happening somewhere in the United Kingdom every week. Club Corner will keep you up to date with all the latest ... See More motorsport news, and tell you which circuits are holding race meetings that weekend and what will be racing, even what slot car, stock car, sprinting, radio car, club karting, hillclimb and rallying events are running. Some of them may even be on your doorstep. If you have a story and need it broadcast to the world, email jake@downforce-radio.co.uk and you could be on the next edition of Club Corner! Club Corner starts in September 2018. Once a week, Downforce Radio will be interviewing a top name from the worlds of Formula One, sportscars, oval racing, touring cars, single-seaters and beyond. And not just drivers too, team-managers, championship co-ordinators, commentators and more. Keep an eye on our Facebook and Twitter pages, for your chance to ask a question to ... See More one of British motorsport's elite. The Grand Prix Virtual World Championships are sim racing's premier online competition with single seater categories, sportscar and touring car disciplines and racers with incredible talent and ability. The GPVWC Superleague was the series that Rudy van Buren competed in before he won the McLaren World's Fastest Gamer contest ... See More that earned him a simulation role at the McLaren Formula One team. From the 2019 season onwards, motorsport fans can find out more about the world of virtual racing's top contest on the rFactor 2 platform, with The Superleague Show, The Scrutineer and The Overcut all becoming part of the Downforce Radio network. With guides, interviews, reports and reviews, and a behind the scenes view of the world of sim racing you'll learn more than you could ever dream to learn, and hopefully it'll transform you from gamer to professional sim racer. Two mates walk into a pub, and talk about nothing but cars. That's it, really. All the race action from the IAME X30 Euro Series by RGMMC. With commentary by Jake Sanson. #LeanAngle is our motorcycle racing show covering MotoGP, the Superbike World Championship, the British Superbike Championship and much more! Presented by Chris Stevens and Lewis Duncan, we cover all forms of two wheeled motorsport during the racing season, with plenty of fun, fiery debates and big name guests!!! All of the action from the Motorsport Days LIVE conference sessions hosted by Jake Sanson and Alexandra Legouix with special guests and fantastic insight into the motorsport industry, from the Silverstone Wing. Live coverage of the Motorsport UK British Kart Championships for Rotax, IAME, TKM, Honda and KZ2 classes, with live commentary from Britain's premier karting competition. From BRISCA F1 to National Hot Rods, Speedway to Banger Racing, Downforce UK has always been fascinated by the unique world of British oval motorsport. Each week, you'll be meeting a different member of Britain's most partisan motorsport community, from drivers and riders to promoters, commentators and legends of the sport, as ... See More we delve further into the sport than anyone has ever explored before! OvalTalk will return in January 2019!! Pit-Bored is our live weekly comedy show discussing everything from Formula One to sim racing, Le Mans to Buckmore Park. And there's no holds barred as our team of presenters, commentators and special guests are encouraged to say what they really think no matter what the view might be! So if you have something to say, Pit-Bored is ... See More the place to say it. We encourage humour, banter, triviality and down right British grit. After all, it's what the motorsport fan deserves. In "Racers On The Road", motorsport commentator Jake Sanson meets racers, team bosses, TV presenters, commentators, journalists, marshals, mechanics and many more personalities from the motorsports industry, indulging our shared love of cars and driving on the road. You'll hear from people in various motorsport ... See More disciplines discuss our love and hatred of driving on the road, the best and worst cars we've ever driven and even those stories we've never dared to share before. Alex Goldschmidt brings tin-tops back to Downforce Radio with the proverbial crash, bang and wallop, providing the monthly round-up of true racing madness, ranging from DTM to Virgin Australia Supercars. He’s also very well assisted by two of our touring car editorial team, the TCR Guru, Phil Kinch and Supercars Editor, Sam Hall. Race ... See More The Roof is brought to you in association with Trade Price Cars. Tom Cairns delves into motorsport's rich and mysterious past and investigates the stories and tales from the history of Formula One. All the latest news, previews and reports, interviews, debates and fixtures from the world of karting on the world's stage and at British national and club level, as well as details for how you can go racing in the best championships for your budget. Presented by Jake Sanson. Live coverage of the Tuto Money Super One British Karting Championships, with commentary by Jake Sanson. Imagine you have the power to place an item of significance in the ultimate museum celebrating motorsport? Who deserves a place in the hall of fame? Which items would fascinate you to enter in bemusement and wonder? Join Jake Sanson as he asks racing drivers, commentators, journalists and experts in the field of motorsport to place ... See More their favourite cars, teams, tracks, helmets and of course personalities into The Motorsport Museum, and to offer some hilarious stories that they love from the brilliant sport that is motor-racing. The Racing Mentor podcast is designed to help you find more sponsorship to go racing. It also touches on other careers within motorsport and what it takes to get to the top. Including interviews with drivers, team bosses, journalists and more. Behind the scenes at the famous Clapham North MOT garage that started the careers of men such as Sir Patrick Head, and some of the stories that make this fascinating place a true cornerstone of motoring in the nation's capital. Presented by Jake Sanson. Think you know about motorsports? Try this game for size. Jake Sanson is in the chair for Wheelnuts - the ultimate motorsports quiz show. Racers, journalists, commentators and enthusiasts will be challenged to the best of their ability to see just how "wheel nuts" they really are!